William E. Jacoby, 79, of Ridgewood, passed away on June 2, 2018. Beloved husband of Donna (nee: Ackerman) Jacoby. Loving father of William Jacoby and his wife Carol of Ridgewood, Robert Jacoby and his wife Arleen of Pennington, NJ, and Marilyn Jacoby of Wyckoff. Cherished grandfather of William, Patrick, Amanda, Isabel, and Elyana Jacoby. Dear brother of Cathleen Sutliff and her husband the late James, and Claire Cullen and her husband Timothy. He will be greatly missed by many nieces and nephews. William was born in Brooklyn, NY, and was a Captain in the United States Air Force. He graduated from Seton Hall University and the University of Pennsylvania, where he earned his degree in Dentistry. 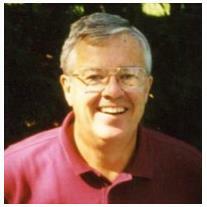 He was successful in his own dental practice in Ho-Ho-Kus, and was a member of many professional organizations including the American Dental Association, the New Jersey Dental Association, a former Chairman of the Bergen County Dental Society, a Fellow of the New York Academy of Dentistry, a Fellow of the Academy of General Dentistry, and as a Dental Staff member at The Valley Hospital. William published articles in multiple peer-reviewed journals such as the Journal of Prosthetic Dentistry and the Journal of Bergen County Dental Society. William was an active member of community organizations. He was a past President of the following organizations: Ridgewood Stablehands, the Bergen County Cerebral Palsy League, the Ridgewood Exchange Club, and the Ridgewood High School Football Scholarship Committee. He was also a member of the Ridgewood Country Club, where he enjoyed playing golf, and was a longtime parishioner of Our Lady of Mt. Carmel RC Church, Ridgewood. In addition to golfing, William’s favorite pastimes were reading and listening to classical music. He was also an excellent cook, frequently making delicious gourmet meals for his family and friends. The Funeral Mass will be celebrated on Wednesday at 9:30 AM at Our Lady of Mt. Carmel Church, 1 Passaic St., Ridgewood. Interment to follow. Visiting Tuesday 6-8 PM at the Feeney Funeral Home, 232 Franklin Ave., Ridgewood. In lieu of flowers, donations in William’s name to the Eastern Christian Children’s Retreat (http://eccretreat.org/donate/) would be greatly appreciated.